1. 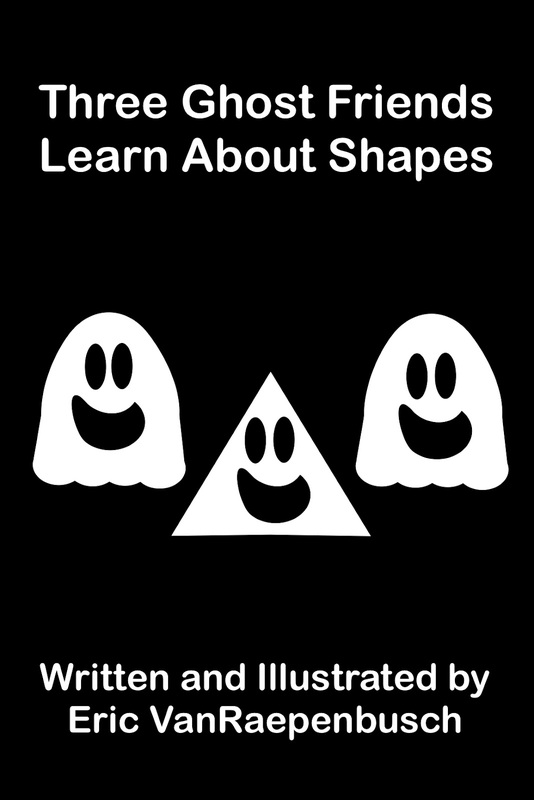 Download (this version contains an oval ghost -- click here if you prefer ellipse ghost) and print activity sheet. 4. 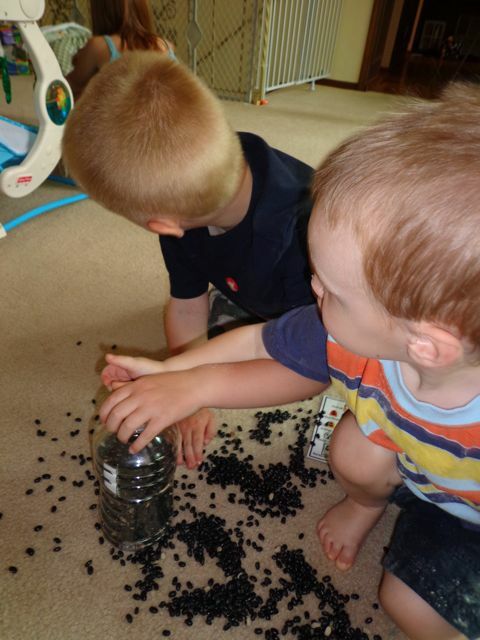 Fill clear plastic container with sunflower seeds or dry black beans. 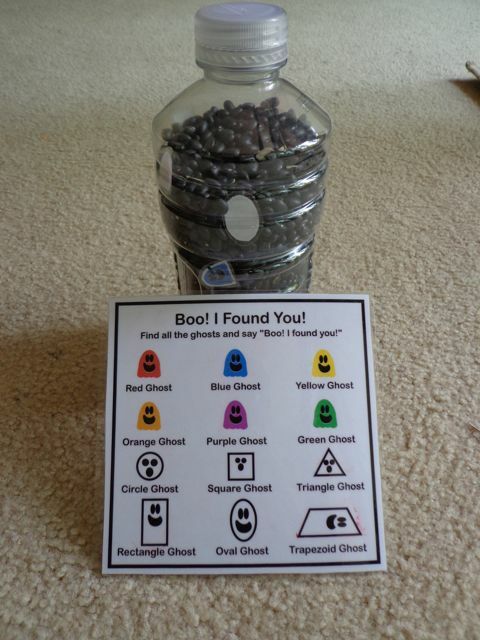 Add the game pieces as you fill. 5. Glue on lid so it cannot be removed by a child. 6. 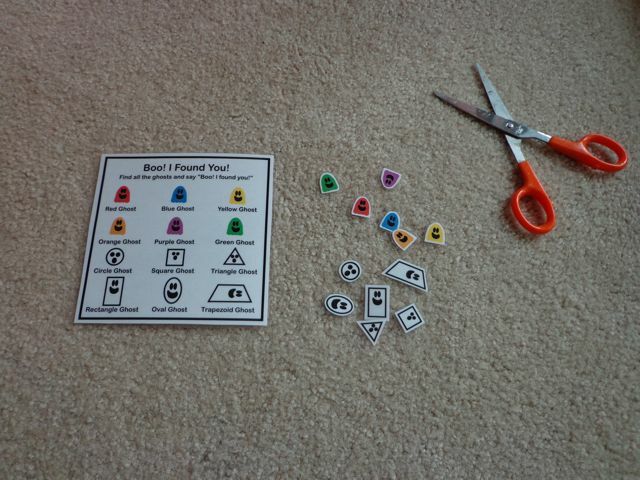 Child will find all the objects on the game card. I chose to laminate the game card and game pieces for my first Boo! I Found You! Look and Find Game. 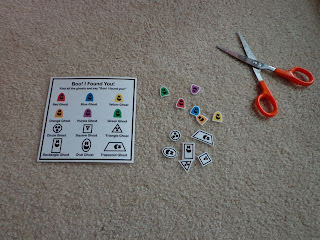 After I laminated the pieces, I cut everything to size. On our first attempt, we filled a clean Powerade bottle with dry black beans, emptied a few out, placed the game pieces on top, and then added the rest of the beans. 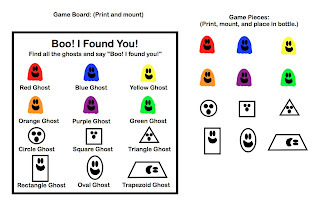 However, all the game pieces generally stayed together. 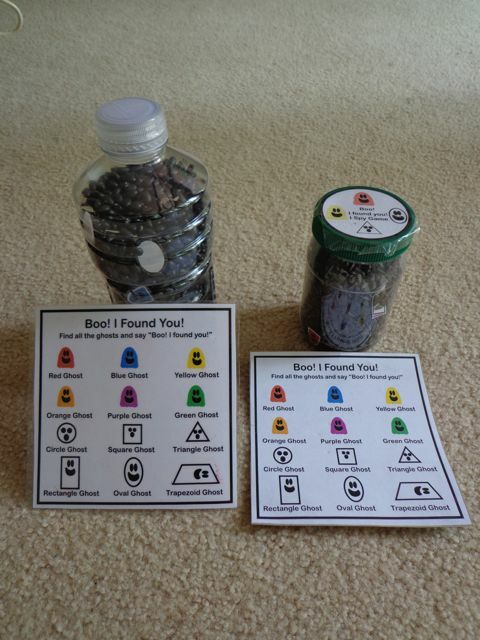 So, we dumped them out and added the game pieces as will filled the bottle. This worked much better! 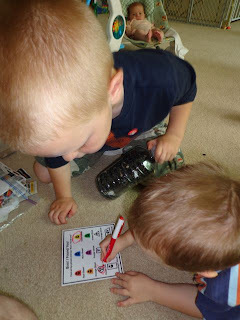 The pieces were spread out and the game was much more fun to play. The laminated game card allowed my sons to keep track of what they found with a dry erase marker. I was interested to make this game with different materials to give you options. This time I used a small clean mayonnaise container. 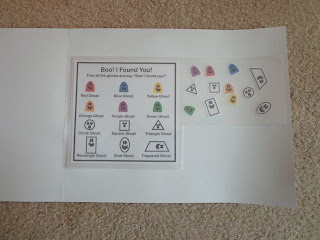 I also glued the game pieces on a cereal box. 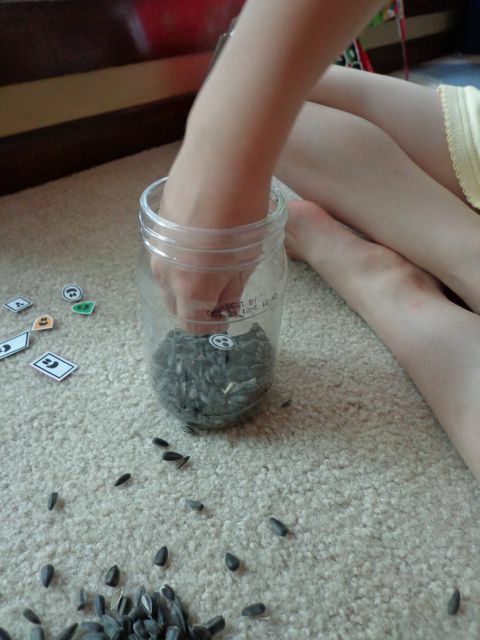 Instead of black beans I used black oil sunflower seeds (birdseed). 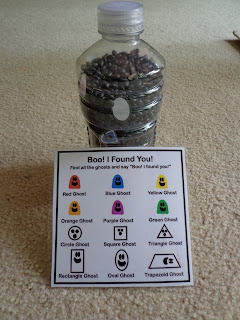 We remembered to add the game pieces as we filled the jar. Do not fill the jar or bottle to the top. 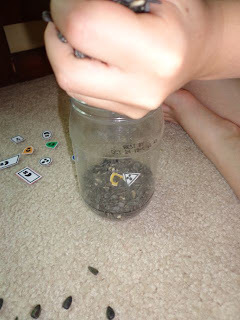 The seeds or beans need to be able to move inside the jar or bottle. Don't forget to glue your lids shut! 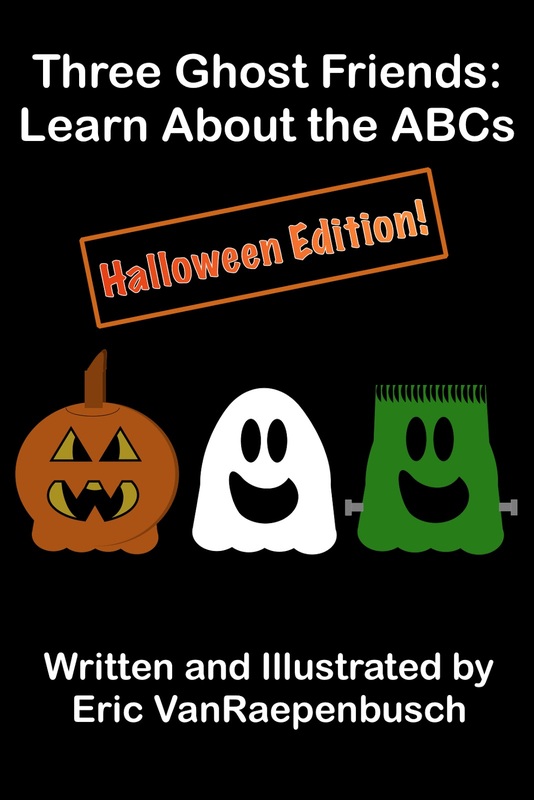 You do not want a mess! Note: This activity can be adapted to use with a larger sensory tub. 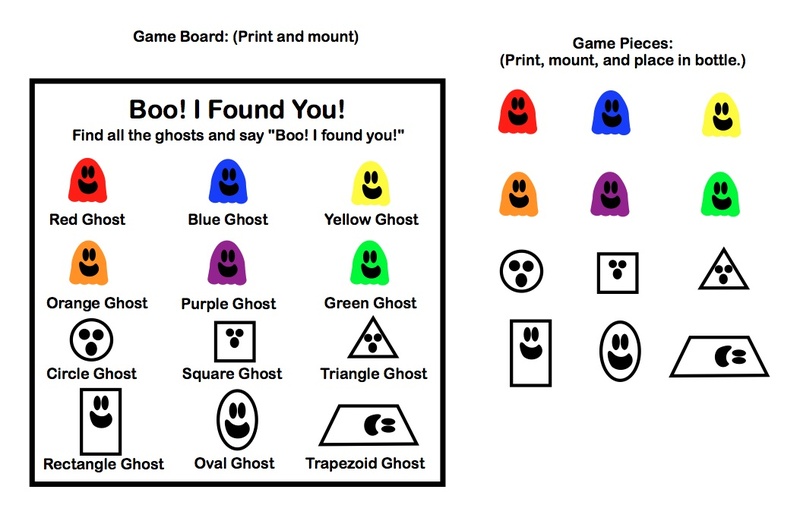 Use the same activity sheet/game board, but download and print larger game pieces! 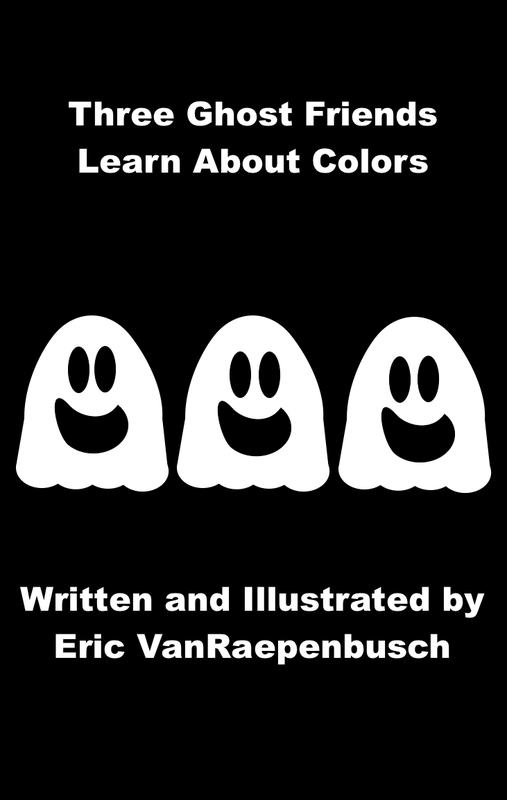 This activity was designed to be used along with Three Ghost Friends: Learn About Colors and Three Ghost Friends: Learn About Shapes. Jean, I used dry black beans not coffee beans. You are exactly right that it would crazy to use coffee beans! Yikes! I need my coffee to get through the day. The black beans were a little over a dollar a bag and I used 1 1/2 bags for a large Powerade bottle. I first saw this craft with rice and then colored rice. 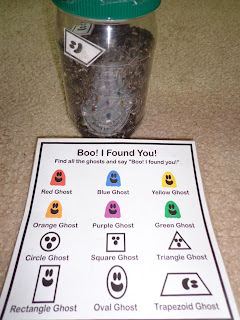 But, I needed something dark for the ghosts. 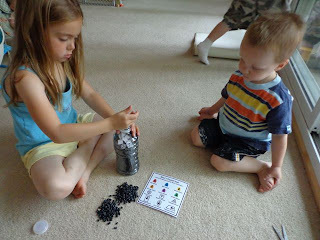 If I were to chosem I prefer the sunflower seeds over the black beans. They move a little better in the containers. Thank you! My son really enjoyed making the game as much as he did playing it!